I believe that most of your nutrition should come from "whole" real food and supplements will only be necessary if you are lacking them in your diet. In my nutrition program that I create for you, you will see just what you are lacking when it comes to vitamins, minerals and macro-nutritents. Variety is definitely the key to getting a well balanced diet. Consider buying foods that are organic, free range, grass-fed, hormone free and wild. Fish should come from the cleanest waters and fed in their natural environments. Animals should also eat what they naturally do well and roam around eating grass and poultry animals as well. Whole foods shouldn't be pasteurized, bleached, injected with hormones or go through eradication for the convenience of our supply and demand. This takes the quality out of food and yearn our body to seek more nutrition elsewhere. Knowing all the amazing foods that is out there and eating it in its most natural and nutritional state is the key to optimal health. 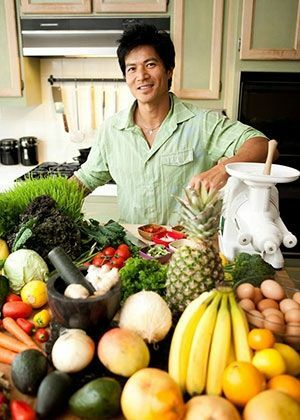 I will go over on how food is best fueled and absorbed in your body and medicinal in every aspect of your consumption. Knowing how to eat food in its most nutritious state, food combining, whether raw, steamed, poached or cooked and when best to consume them is essential to your health goals. You will understand what are the best meats, poultries and fishes out there for you to consume and choose from, as well as eating the healthy fats that is going to contraindicate all the health problems we have today. The more you know, the more you understand and will be fearless about going out to eat at any of your top favorite restaurants. As your private chef, we will go over what foods you like and dislike and I will create meals for you in your own home, portion it out and store it for you until you are ready to consume it. This will reduce some stress in your day and make it easier for you to eat healthy on a daily basis without all the time of preparation. Sign Up for a CSA Today!